I am a new user of Linux. I just installed Ubuntu and now I want to try the KDE desktop environment. Can you guide me how to set up KDE in Ubuntu? You should try Kubuntu for best experience. Kubuntu is optimized for KDE, Ubuntu is optimized for Unity. Installing KDE in Ubuntu will not optimize it in any way. How do I install KDE or XFCE or LXDE to an Ubuntu 12.04 system with no internet connection? Restoring the default KDE Desktop? 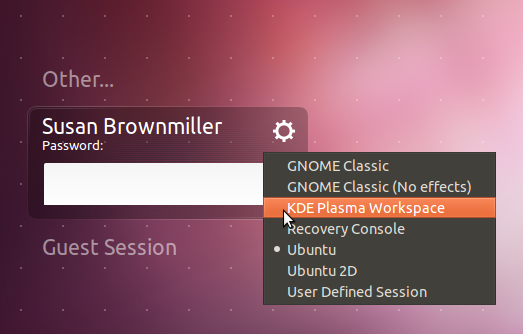 How to remove KDE Plasma-Desktop?